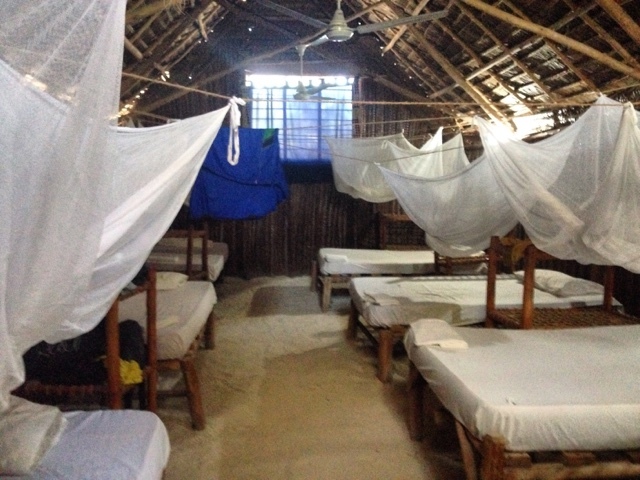 I arrived in Zanzibar Monday morning during a torrential downpour. I waited longingly staring out of the airport doors for the rain to stop. Over and over taxi drivers asked me to take their taxi. "No dala-dala in the rain" they persisted but I was sure I would find one. I ran out in as the rain began to subdue. Asking every fifty feet for directions to the dala-dala stop. Finally I arrived at a small covered area with people waiting. At the stop waited a small van-bus calling for stone town. I asked if they went to Darajani market. He nodded and I jumped in and handed him 2000 Tanzanian shillings (TSH). As we drove we picked up a bunch more people. Finally we reached the buselling market. I jumped off and headed for the ATM. Zanzibar is a Tanzanian island. You can travel there by air or boat from Dar Salama. The island is 3 hours from north to south and one hour across. Also known as the spice islands, this island boasts world famous diving, international kite surfing competitions and gorgeous beaches. Although this island can be expensive for most tourists it has affordable options for the backpackers too, especially in low season. 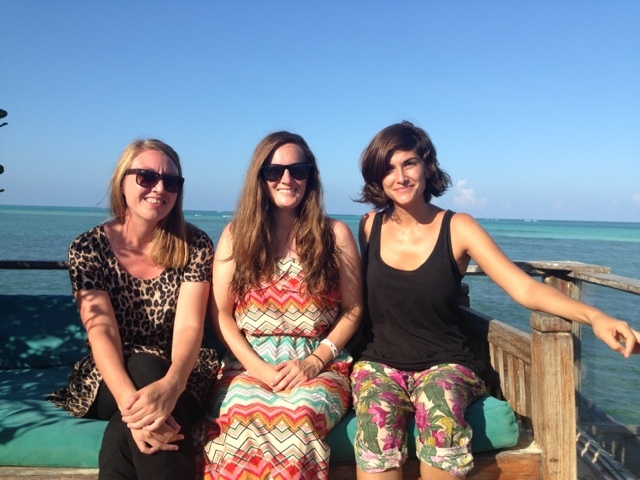 Traveling around Zanzibar is easy. 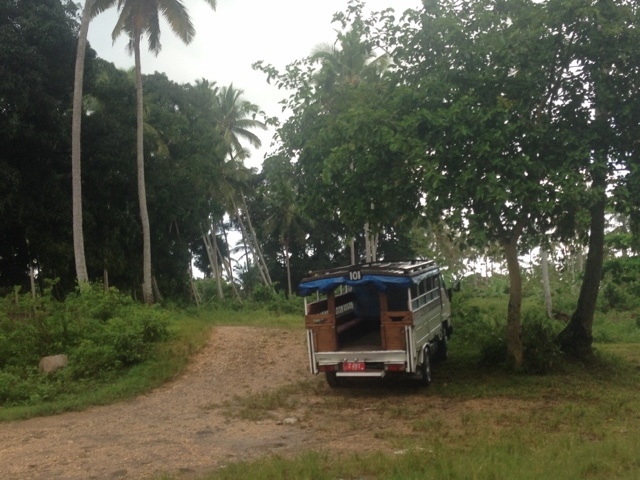 There are many options including dala-dalas, mini-buses, piki-piki (motorcycles) and taxis. Dala-dalas are by far the cheapest transportation. Many say they are uncomfortable, confusing and slow, but I found them none of the above. After getting money at an ATM (which you can only do in Stone Town) I looked for dala-dala 309 that would take me to Paje. A nice gentleman took me to the dala-dala, and he didn't even ask for money. I jumped on and waited for the vehicle to fill. Dala-dala is a large flat bed truck with a roof. It's open on all sides to let the fresh air in, and has emergency tarps that roll down during the rain. In the bed of the truck there are benches that line the sides. The roof is not high enough to stand so you much bend over and crawl your way to an empty seat. In the middle between people's feet is a storage area. For locals they carry anything from old car parts to fish. Many flies buzz around especially as a new passenger enters and disturbs them. The Dala-dalas drive fast and are only about 30 minutes slower than a taxi. They stop once and a while to pick up a new person or item, but speed off even before that person can sit down. They fill up quick requiring people to squish together or even sit on the luggage in the middle. Overall they are a great budget option for the backpacker who doesn't have much luggage and wants to enjoy the scenery. I arrived the New Teddy Place in Paje a bit exhausted but I wanted to make the most out of my trip so I bargained for a kite surfing lesson. I paid a bit less than $20 per hour for lesson and equipment form a shop in front of Teddy's on the beach. I learned how to control the kite on land and water for two hours and then headed to dinner at Teddy's. Kite surfing was much more difficult than expected. 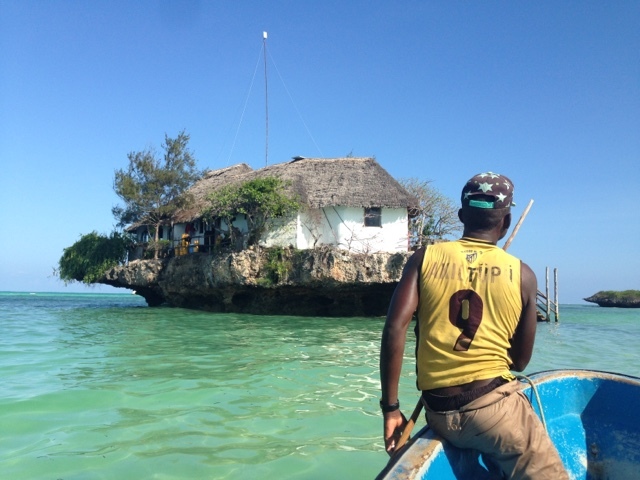 New Teddy's is a backpacker hub on the south east coast of Zanzibar. With dorms for $15 a night, you can't beat the price anywhere else. 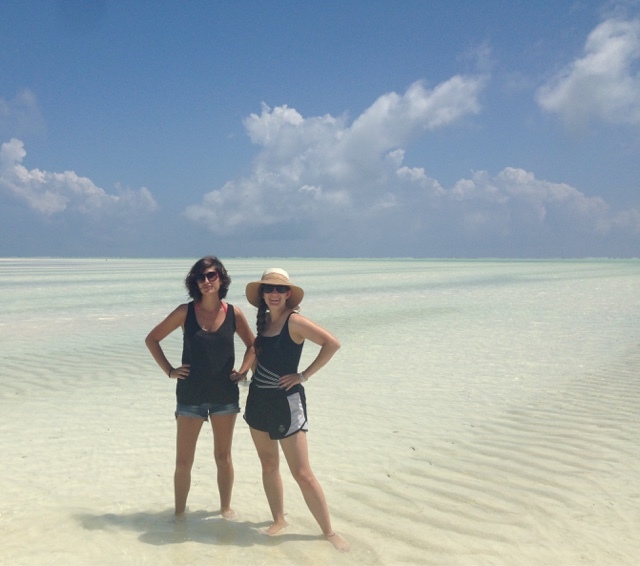 It's right on the beach and they help you organize cheap tours around the area. I instantly made new friends and began exploring the area. 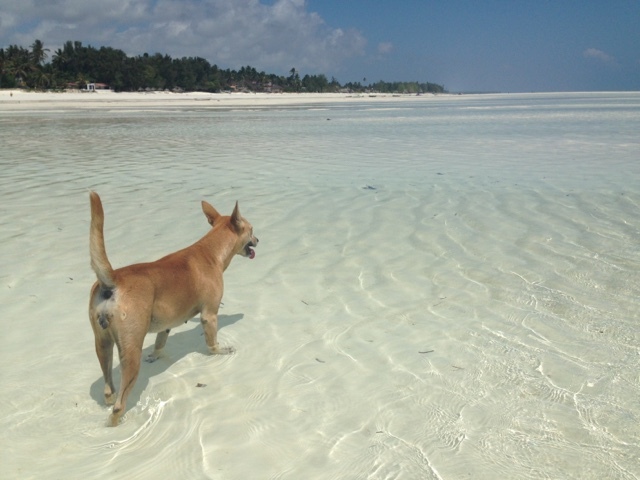 Paje beach is rated the most beautiful beach in Zanzibar, and I definitely agree. The sand is whiter than snow and finer than flour. The water is a turquoise blue and as clear as crystal. Small fishing boats bob up and down on the waves and Masai men dressed in traditional outfits wander up and down the beaches bugging every tourist they come across. Although there is not much shade small thatched umbrellas are scattered along the beach, make sure to apply and re-apply sunscreen over and over through the day. The beach during low season is almost empty. The tide at Paje is drastic. At times it looks like there is no water at all and other times it's almost up to the umbrellas. Watch out for sea urchins as you walk, they are not fun to step on. At night there are bonfires along the beach just a five minute walk from New Teddys as well as some hopping bars at night. My new friends and I decided to go to The Rock restaurant, a 10 minute drive north or Paje. We organized a taxi that would take us north, wait for us while we had drinks, and then take us to a place a bit cheaper for food for only $20. The Rock is beautiful. It's a small restaurant on a rock surrounded by water. It's important to go during high tide so that you can enjoy the boat ride. Prices are all in US dollar and rage between $18-55 for a meal, $7 for cocktails and $8 for dessert. We decided to instead order two bottles of wine as it was cheaper than ordering by the glass. We enjoyed the view and talked for hours. On the way back to New Teddys we stopped at a small food stall in Paje town. It was 2000TSH or $1 USD for chips (fries) and a small salad. You can also get chicken, beef skewers, and octopus for not much more than the chips. We ate on the side of the road and headed home for some sleep. The next morning I decided to swim with dolphins. 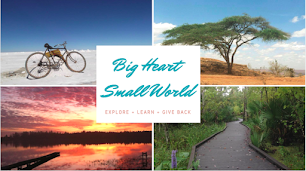 I paid 40,000TSH or $20USD, which included an hour taxi ride, boat ride and snorkel gear. Although I heard mixed opinions on the excursion I wanted to see it for myself. I hopped on a boat and speeded off to where the Dolphins where swimming. Three boats where already there with 2-6 snorkelers on each boat. Although it was amazing being less than a foot away from these beautiful animals it was also a bit saddening that they had been made a tourist destination. As the Dolphins disappeared into the deep water all the snorkelers climbed back on the boat and looked for where they would pop out next. When we saw them jump from the water further ahead the boat captains rushed off to that location and all at once snorkelers rolled off the boats in the water. Over and over this happened. Although the Dolphins did not look scared, they were definitely annoyed. Overall I felt a little bad for the Dolphins. I would only recommend this tour if they limited it to one boat. There were 5-6 boats when I went and this is low season, I can't even imagine how overwhelming it can be for those animals during high season. After this interesting excursion I began my journey to Nwungi for some scuba diving.